Officials from across the D.C. area gathered Thursday to discuss security plans as hundreds of Unite the Right demonstrators and counterprotesters prepare to descend on the region. 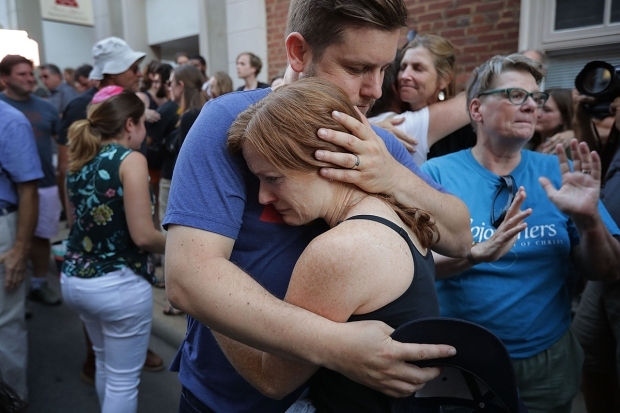 Local officials and law enforcement are preparing in case violence breaks out like it did when a Unite the Right rally was first held last year in Charlottesville, Virginia, where a counterdemonstrator was killed. The Unite the Right group's permit application, obtained through a Freedom of Information Act request, says the demonstration will take place from about 5:30 p.m. to 7:30 p.m. Expected speakers include David Duke, former grand wizard of the Ku Klux Klan. 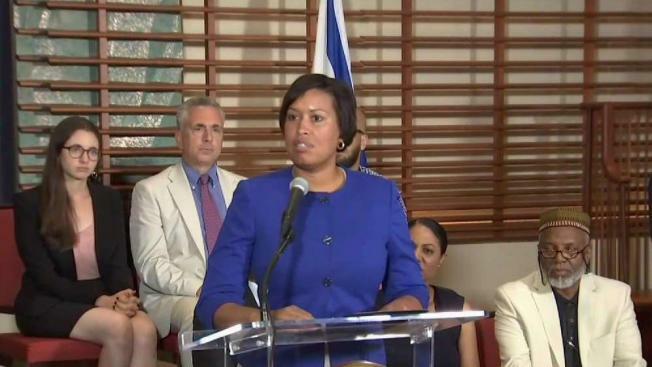 During Thursday news conference, D.C. Mayor Muriel Bowser denounced the rhetoric expected from white supremacists planning to attend the rally, but she said the city still has a duty to protect the First Amendment. As D.C. braces for a white nationalist rally and crowds of counterprotesters to flood downtown over the weekend, D.C. Police Chief Peter Newsham says he plans to maintain peace by keeping the two groups separate. News4's Mark Segraves has the story. "Very few of our visitors share the views that will be expressed in Layfayette Square this weekend," Bowser said. "While we opposed adamantly the message we will hear, it is our duty to protect the First Amendment." Up to 1,000 counterdemonstrators are expected at Freedom Plaza between 9 a.m. and 8 p.m. Sunday for the DC United Against Hate rally and march, according to a permit issued by the National Park Service (NPS) on Wednesday afternoon. After the rally, the counterdemonstrators plan to march about five blocks to Lafeyette Square, the site where Jason Kessler will be holding his "white civil rights" rally. According to the NPS, Kessler's permit is for up to 400 people. The NPS says it has received five applications for the use of Layfayette Square for Sunday. Three, including Kessler's, have been issued, a NPS spokeswoman said at a news conference Thursday. D.C. Police Chief Peter Newsham says officers will do whatever is necessary to keep Unite the Right rally attendees separate from counterdemonstrators. "We would ask everyone who attends not let the personal passions overcome their civility," Newsham said. Newsham said carrying a firearm with or without a permit in and around the events will be illegal. Officers will be on high alert for anyone carrying a firearm. He said there have been no specific threats of violence. Fairfax County Police said to expect "a large police presence" at the Vienna Metro station Sunday. Demonstrators plan to take Metro from Vienna, Virginia, to Foggy Bottom and march to the White House. Fairfax County Police said to expect an increased police presence at the Vienna station between noon and 10 p.m. that day. "The Fairfax County Police Department is working diligently with other area law enforcement agencies to maintain a safe environment for everyone to freely express their First Amendment rights," Fairfax County Police Chief Ed Roessler said in a release Thursday. "We also want to ensure the safety of our residents and those passing through our county." Fairfax County Police encourage people to consider using other forms of transportation or other Metro stations. They will provide real-time updates on their Twitter account, @FairfaxCountyPD. 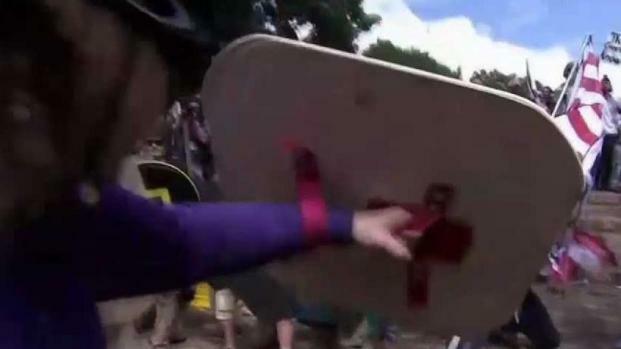 This year, Charlottesville officials have declared a state of emergency ahead of the anniversary of the 2017 rally. Newsham said that D.C. police coordinate with multiple agencies on a daily basis.